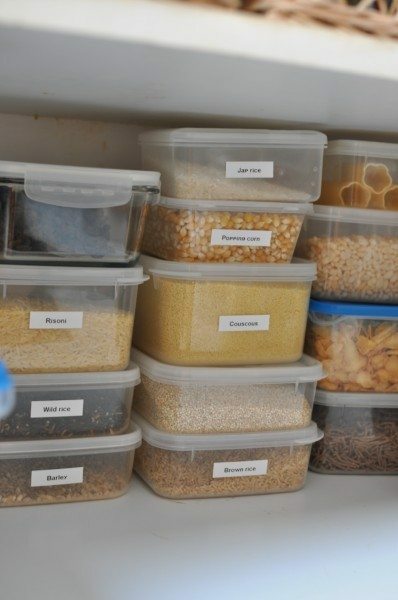 Who doesn’t love an organised kitchen, or in particular an organised pantry. 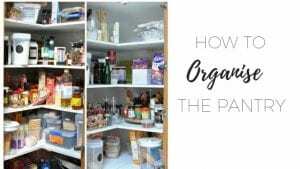 At the top of my never ending “To Do’ list I had ‘Clean and Organise pantry’, so this week I finally decided to tackle it. I am an organised person as I guess you can imagine, so often sitting on my whiteboard is a list of ‘Things to do’. One thing that has been on top of my list for a while now was cleaning out the pantry. When we first moved, I literally just transferred stuff from boxes to the pantry without much thought. A month or two ago I tackled one shelf then I gave up and added it to the to do list. The photo above is what I’ve been looking at for 5 months. It stressed me out every time I wanted to get something out. 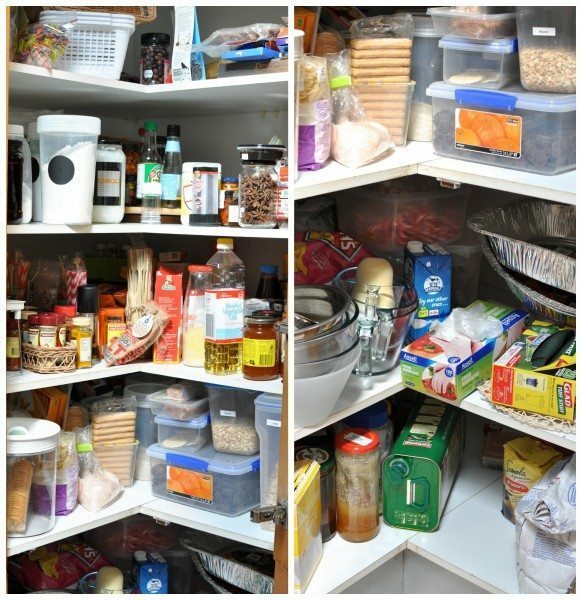 The biggest problem with this pantry is that it’s pretty deep so things get lost in the back. I had to come up with a bit of a system so I could get at/see everything plus I didn’t want to spend anything on organising. The first step was taking everything out of the pantry. The secret to getting started was making ‘clean pantry’ the only item on my to do list for that day. I couldn’t get distracted doing anything else I just had to get into it. 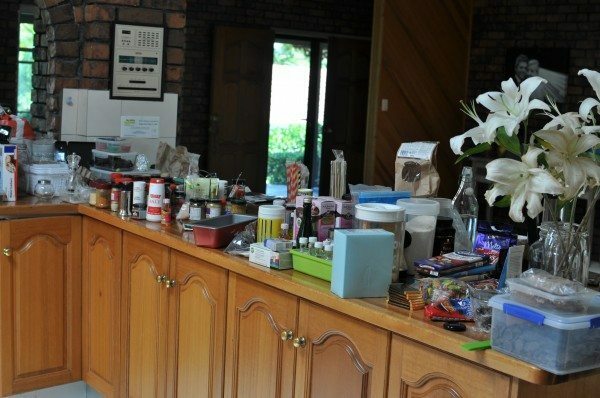 The best part of getting everything out of the pantry is you have to put it all back so you may as well do it nicely but I’ll admit, at this stage I wanted to quit. When everything is out, it’s best to start collecting similar things together. You have to do what works for you. 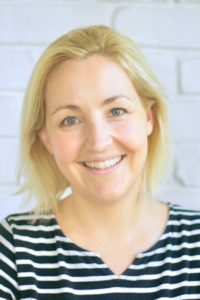 For me, I had to figure out the things I didn’t need to access all the time because something had to have a home on the top shelf that I can’t reach very well. Once everything was grouped I started checking used-by dates and tossing anything that was old. I may have found a box of chocolates that expired in 2010!! I’ll admit my pantry isn’t just the one big cupboard. I also have this little pull out shelf in the cupboard next to the fridge. It was chaotic and I was forever buying canned things because I couldn’t see what I have. 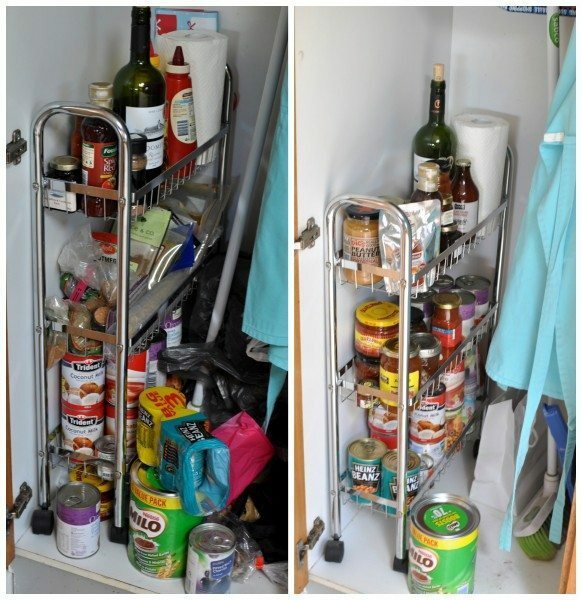 Now it’s home to cans on the bottom and middle and jars of sauces, spreads etc that are un-opened. It’s really my store-cupboard. The poor milo is sitting there un-opened because I still haven’t really gotten back into milk. My tip with this is to use up non-frequent-access spots with things that are more like supplies than everyday items. If you were really clever you could keep an inventory list inside the cupboard. I’ve tried it – didn’t work for me because I never updated it and I just got confused. Here is the before and after of the top of the pantry. I couldn’t believe how much space there actually was once I organised everything properly. The shelf that is at easy-reach-in level has spices on the left and sauces, marinades, oils, vinegars, stocks on the right with most of the bottles on a lazy Susan for easy access. 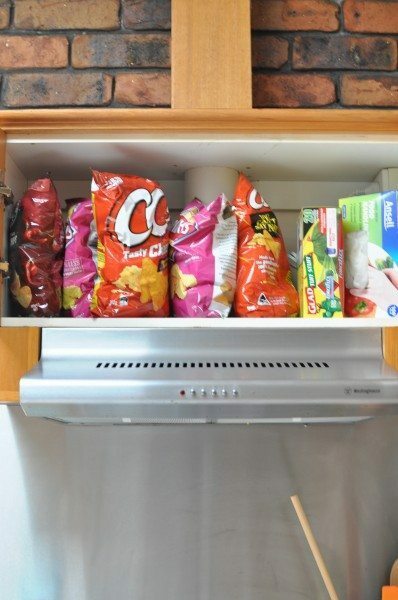 Lazy Susans are life-savers in deep cupboards. It turns out I’m a bit of a spice hoarder. I had a tough time figuring out how to store them all but settled on two baskets for the frequent use ones. I also wrote the name of each one on top of the lid so I can see what’s what at a quick glance. The shelf above is all my baking ingredients with the smaller items at the back on a raised rack. They’re good for tall shelves to make the most of space. Yes there is a chocolate section next to the baking goodies. 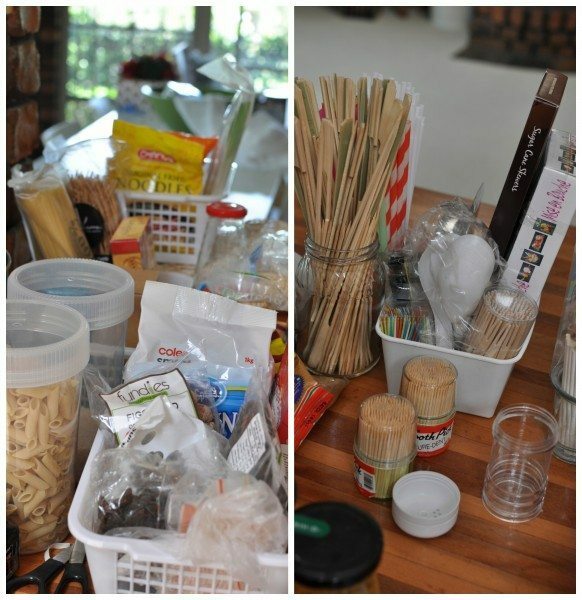 Right up the top I put my supply things like baking paper etc, foil baking tins, picnic ware and skewers. I put them in tall jars at the front so I can see what I have and get at them easily. Down the bottom I have more of a supply cupboard. The crackers etc are in a basket next to a basket full of noodles/rice and another basket of pasta. Down below is my giant tin of oil, bag of bakers flour (which gets filled from the 45kg bag on the bench that I’m still to find a home for) and extra flour, sugar etc. Like the cupboard next to the fridge, it’s where I shop before I need to shop. The thing that works best for me is having everything possible in clear plastic containers with a label. It makes finding things so much easier and I love not having the packaging. Oops just noticed the quinoa’s label is facing the wrong way. I’ve been collecting these for a while so they don’t all match but if I were to start again I’d go to a $2 shop and stock up to make it nice and pretty. If I won the lottery I’d buy the full range of Tupperware. Don’t judge us but we eat a fair few chips. They’re one of the only processed snacks we have but heaven forbid I go to have some CCs and there aren’t any. This cupboard has been empty since move-in day so it is now home to our chip supply garbage bags and rubber gloves. I know this wasn’t the most exciting post but it was Mother Thyme’s post the other day that inspired me to finally get on this and it feels sooo much better having it all organised. 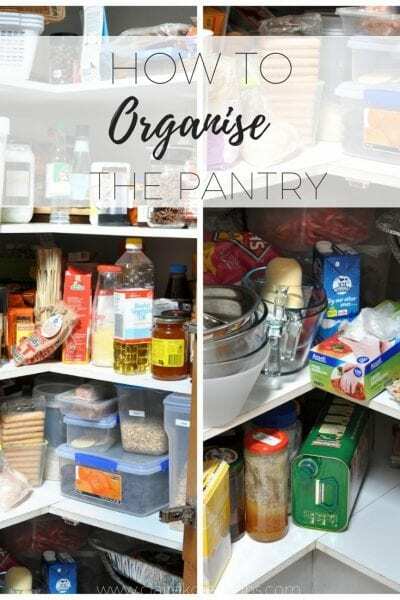 Perhaps I can inspire someone else to do the same and then we can spread the organised pantry love around. What about you? 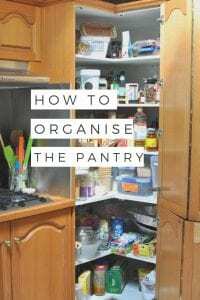 What is your top tip for an organised pantry? Such a frustrating task but so great once it is done! Good for you! 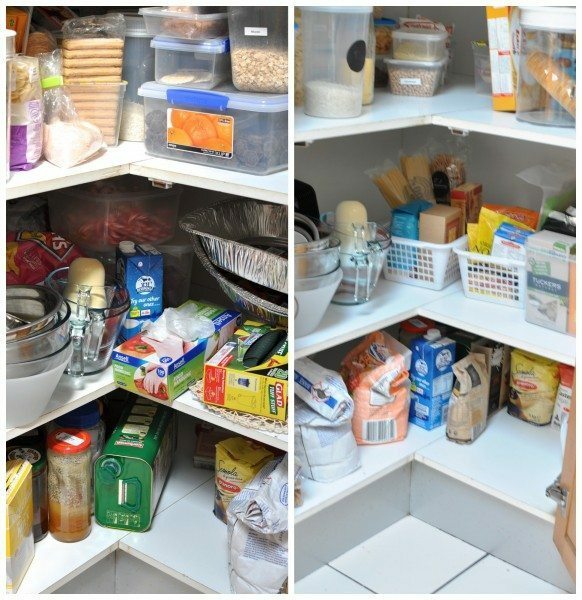 I am filled with pantry envy. I’ll confess that we got some cleaners in recently and one of the things I really wanted was for the pantry to be cleaned out. Stuff past its use-by date discarded and anything that looked like it could hold pantry moths tossed as well. Well. 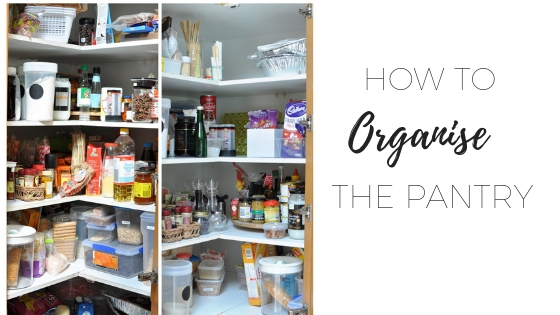 After they left I had the most beautifully neat pantry – all cleaned. However, they just made it pretty. NOTHING was where I could get to it. 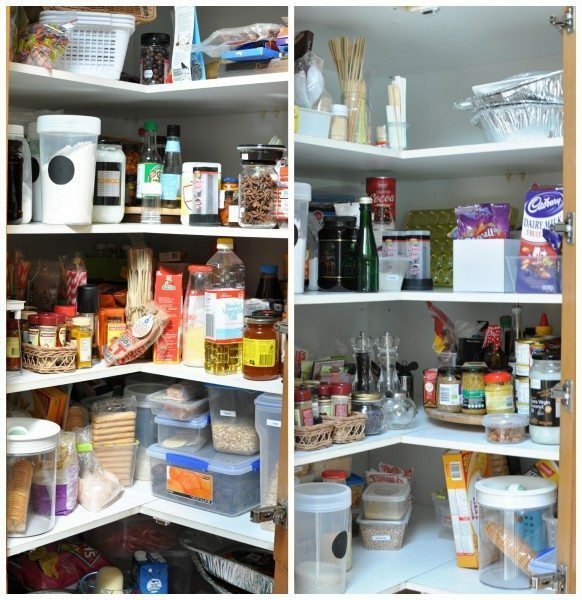 My pantry is similar to yours but there’s very little light. So these wonderful cleaner people put things like bicarb, honey, salt, etc on the TOP SHELF! That’s so annoying. Well at least they got rid of anything that needed getting rid of! How crazy to put those things on the top shelf! We don’t have one set pantry. 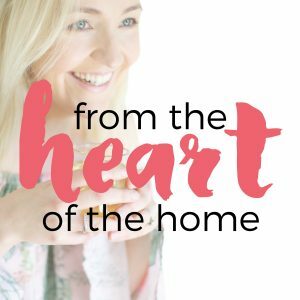 We have varying cupboards throughout our kitchen where things live but it seems to work for us. We have a preserves/tins cupboard, one for dried fruit and nuts, one for baking goods, one for spreads and then most else is out in the open. Love you organisation though! I think that would work really well Clare. 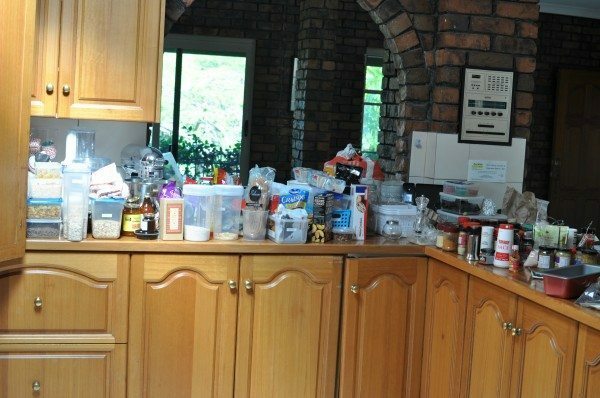 Less chance of stuff being messed up if everything has its own cupboard. Haha would it be bad if I said yes? Every time I open it I say how much I love it now. Yes finally! I’d love to see pics if you go for it.